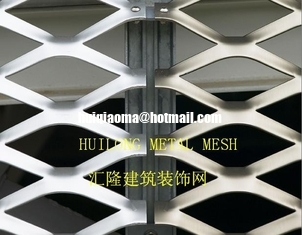 Expanded metal mesh are made by taking a flash sheet of metal which is simultaneously slitted and stretched to form a diamond shaped hole pattern. No metal lost during the process thus making the final product stronger per kilogram and lighter per metre than the original sheet. 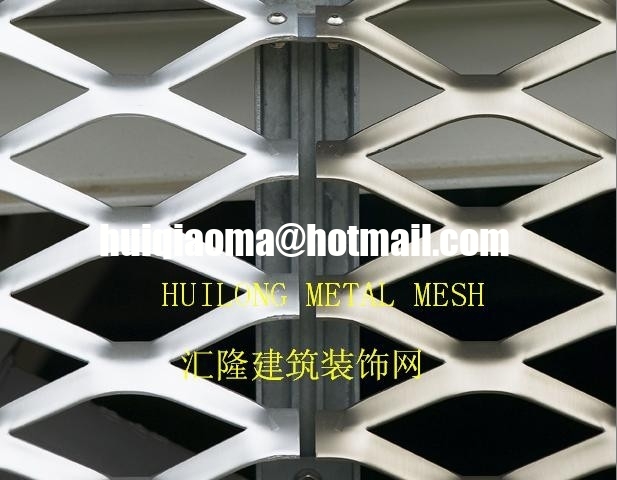 Aluminum Expanded Metal are available in different types, like standard diamond, heavy, flattened, or special patterns, designs, sizes, thickness. With lighter weight and better corrosion resistance compared with carbon steel and stainless steel, aluminum expanded mesh often incorporated as a more popular architectural feature, offers the benefits of decoration, protection, support and security; allows light, heat and air through, while retaining its strength forming a very strong barrier for security purposes. Complimenting accessories available include: edge trims, and brackets. Widely used as decorative mesh for buildings, interior decoration, roof decoration, outside wall decoration, retail shelving, signage, partitions, ceiling tiles, and more.